Prime Minister Theresa May says she is not prepared to delay Brexit any further. 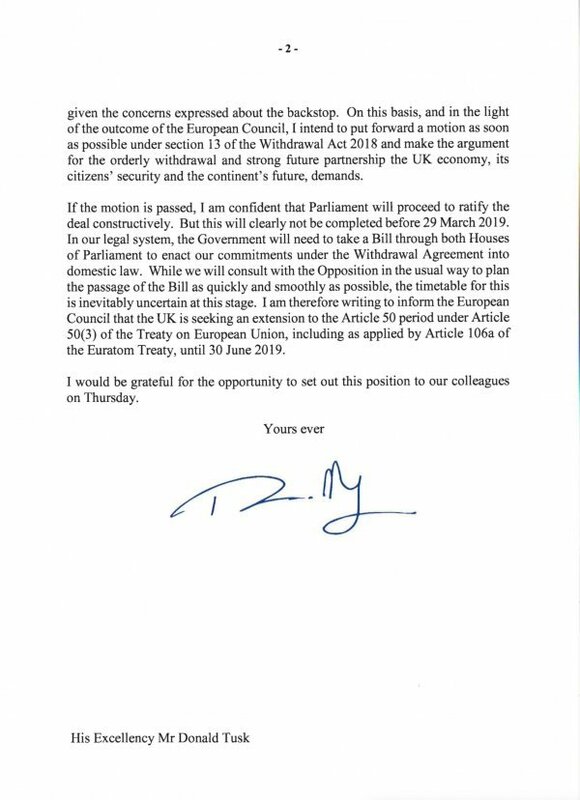 Prime Minister Theresa May has said she has requested an extension to Article 50 the clause of the EU treaty under which Britain is leaving until June 30. "I AM NOT PREPARED TO DELAY"
Speaking in the House of Commons at a weekly question session on Wednesday, May said she has sent a letter to EU Council President Donald Tusk adding that she intends to bring forward further domestic proposals on the Irish backstop. 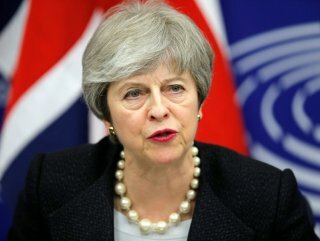 “As prime minister, I am not prepared to delay Brexit any further than June 30,” May told lawmakers. The new date for Brexit, if approved by all other 27 members of the EU, will see the UK avoid joining the European Parliament elections due in May. 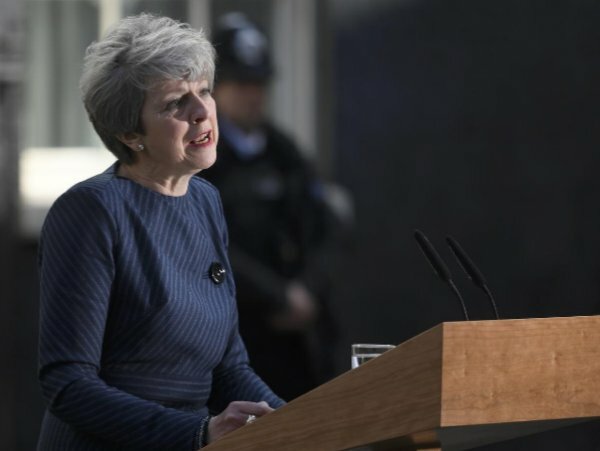 May said she does not think to hold European elections would be in anyone’s interests and “that would be unacceptable". British premier also said the government will hold another meaningful vote. 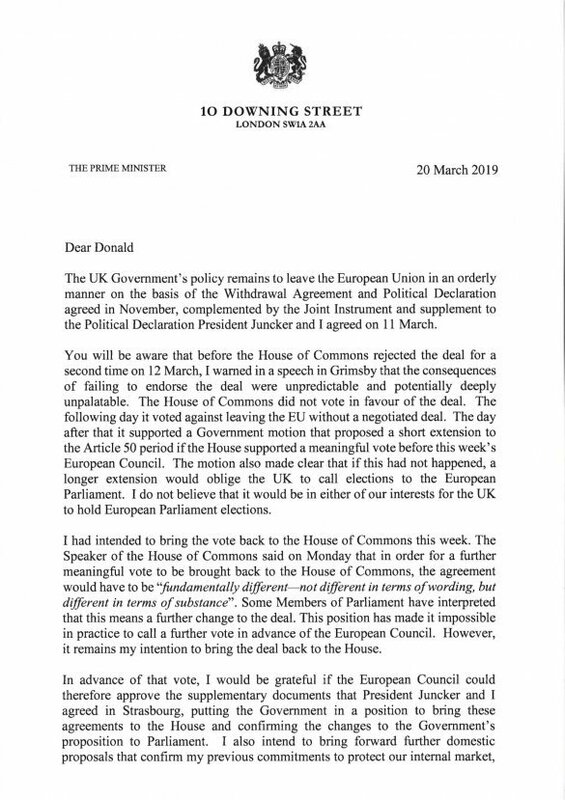 Below is her letter in full.